There’s not much upside in covering a Nick Drake song, because there’s not much that can be done to the songs to improve them. Frankly, they’re resistant even to reinterpretation, because no one aspect was more essential to the songs than any other: Drake’s voice, lyrics, guitar playing, and production (be it the lavish orchestral work on his first two LPs, Five Leaves Left and Bryter Layter, or the chilling minimalism of his third and final LP, Pink Moon) truly combined to give his music its peculiar and astonishing resonance. Last year, Joe Boyd, who produced Drake’s first two albums, curated a handful of Drake-themed tribute concerts, from which he culled the forthcoming CD, Way To Blue: The Songs Of Nick Drake. Among the covers included is Robyn Hitchcock’s take on Pink Moon’s “Parasite.” Hitchcock and Drake are somewhat similar figures: introverted English singer-songwriters born five years apart who make folky music with psychedelic elements. Not surprisingly, then, Hitchcock offers a nuanced, if faithful, take on “Parasite”; he doesn’t (and couldn’t) repeat the plaintive dolor of Drake’s version, so instead, he brings the song new shades by surrounding his own performance — which hews close to the original — with eclectic instrumental elements: woodwinds, percussion, piano, electric guitar. Listen. 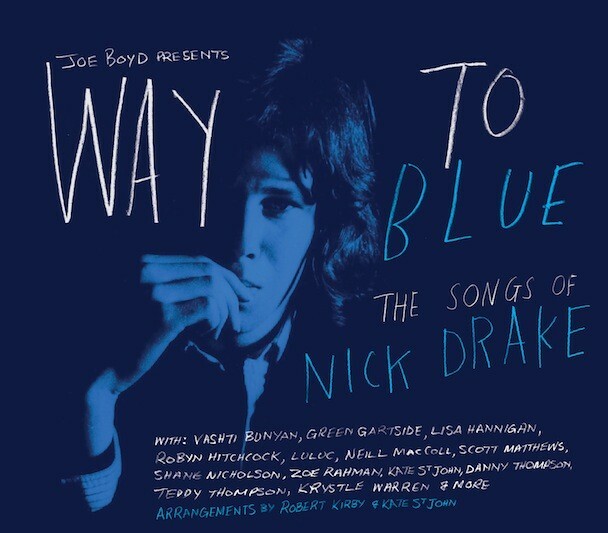 Way To Blue: The Songs Of Nick Drake is out 4/16 via Storysound.